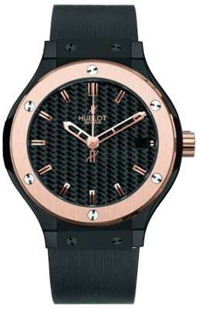 The watch company Hublot has released a new model, which first went on sale in 2008. New items are presented in 38 mm round case made of rose gold, titanium and other materials. 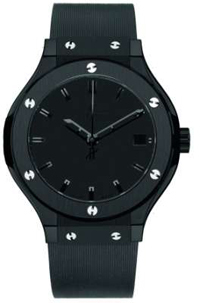 The line is also a version of models decorated with diamonds bezel. So for the future owners of the models do not have difficulties in their choice, as brand offers a rich assortment. Classic Fusion models are assembled on the basis of the manufacturing caliber HUB 1110 self-winding, 42-hour power reserve. Watch is water resistant to 50 meters. Buy a watch Classic Fusion can on the leather strap or steel bracelet.